Pig Out’s almost here, so start fasting, y’all! Spokane’s favorite six-day food fest is now in its 39th year, bringing all the sweet treats and fried fun any of us can handle from more than 47 food booths that in total boast 225+ menu items. Prices continue to stay low, but those looking for a bargain and some variety can sample plenty during Pig Out’s $4 bites special, held daily between 3-5 pm and 9-10 pm, making for a perfect pre-happy hour or late-night snack. 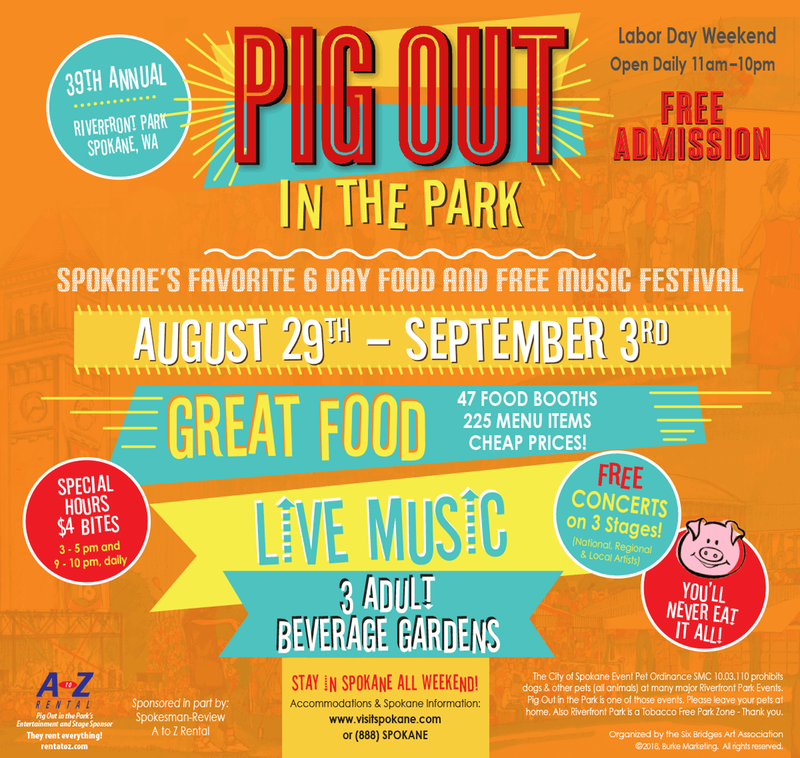 Stay hydrated and happy at three beer and wine gardens, all while enjoying Pig Out’s concerts on three stages throughout Riverfront Park, featuring local, regional and national musicians. With construction complete around the park’s skate ribbon, Pig Out moves back into the central park area, including along the newly replaced Howard Street South Channel bridge and into Clocktower Meadows.